This article is the second part of a text written by a brother on the history of Latvia. For the first part click here. "During the First World War, the October Revolution of 1917 broke out in Russia. The communists seized power and Russia withdrew from the war. Latvia, together with the other Baltic States, declared its independence in 1918, but still had to wage a war of independence and had to wait until 1921 for that independence to be recognised. The recognition of the Latvian Republic meant that the country found its place on the map of the world for the first time in 1921. Karlis Ulmanis, a hero of the independence struggle, became Prime Minister and instigated a system of parliamentary democracy. He went on to hold several ministerial posts. In 1934, he suspended the Constitution and declared himself nationalist President of the country. The regime was authoritarian with the cult of personality playing a big role. Under the Molotov-Ribbentrop pact between Nazi Germany and the Soviet Union, the Baltic States were placed in the Soviet zone of influence. In 1940, the Soviets invaded Latvia. On 25 March 1941, the first mass deportations to Siberia took place. Then in July 1941, the Nazis broke the pact and took the Baltic States. At the beginning of the Second World War, there was a population of around 2 million Latvians. During the Second World War, approximately 200,000 died. There was a large Jewish population and around 75,000 Jews died. In 1944, the country was reoccupied by the Soviets and about 250,000 people left. At the end of the Second World War, the Western countries, wishing to appease the Soviet Union, returned around 80,000 Latvians to the Soviets. The country lost therefore a third of its population in 10 years. The wounds remain. Those who were thought to be friends often betrayed throughout history. From 1945 on, there was also a massive immigration of Russians, Ukrainians and Belarussians. Many came in good faith, being offered a better life and jobs in newly opened factories. They came or were sent to help in the progress of the Union. But it was also official policy to try and ensure that Latvians were not the majority in their own country. It almost succeeded. On 20 June, 1945, the second mass deportation of Latvians to Siberia took place. In total around 150,000 were sent to the gulags, the forced labour camps, in Siberia between 1945 and 1952. Sandra Kalniete, former foreign minister for Latvia, was born in the camps. Her autobiography “With Dance Shoes in Siberian Snows,” tells the story of her family. Which was deported and only able to return to Latvia in the 1950s. In 1989, there were 52% of ethnic Latvians in the country, the rest of the population came from elsewhere. So, Latvians were barely in a majority. With glasnost and perestroika in the Soviet Union, the changes in Eastern Europe, the Baltic States expressed their desire for renewed independence. 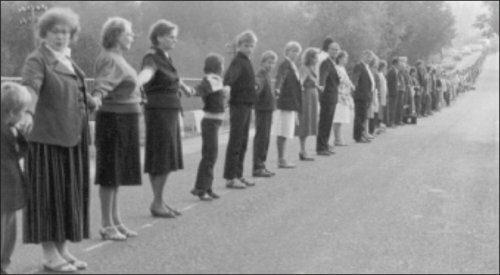 In 1988, a human chain was formed between Tallinn and Vilnius, passing through Latvia, setting in motion the Singing Revolution. In these countries where traditional song has always played an important role, musical gatherings brought people together and empowered them. Latvia declared its independence on 4 May 1990, but it was only on 21 August 1991 that independence was restored with the fall of the Soviet Union after the attempted putsch. In the old town of Riga, near to the Catholic Cathedral, the monument to the demonstrators killed by the Red Army can be seen. The National Day is 18 November, the original date of the declaration of the independence of Latvia, a way of expressing that the Soviet Occupation was illegal, as if it never existed and that the first declaration of independence remained valid. In 1990, the population was around 2.7 millions, but today it is less that 2 million. Latvians continue to leave their country, now mainly for economic reasons, to go to the United Kingdom, Ireland, the US, Australia,… . In the countryside, often grandparents are to be found with their youngest grandchildren. The parents and older children have left. At the last census, Latvians numbered 62% of the population, 25% are of Russian stock and Ukrainians, Belarussians, Polish and Lithuanians are between 2 and 3% each. In the big towns, there are large numbers of Russian-speakers. 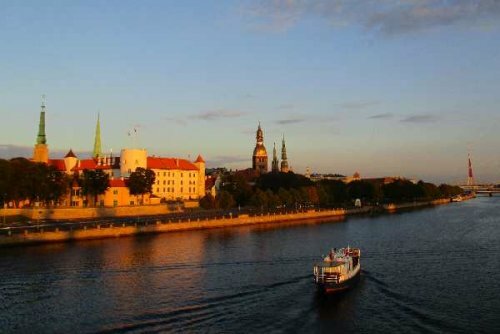 Just under a million people live in Riga and around half are of Russian stock. Daugavpils, in Latgale, the majority Catholic region, is the country’s second city. Out of 100,000 inhabitants, 78.8% are Russian-speakers. Today, young people of Russian stock learn Latvian and the majority have Latvian nationality. Lutherans make up 35% of the country’s population, Catholics 24%, Russian Orthodox 18% and smaller percentages of Old Believers, Baptists and Pentecostals. Riga had the only Catholic seminary outside of Lithuania for the Soviet Union, so all the Catholic priests from the other republics passed through Riga. 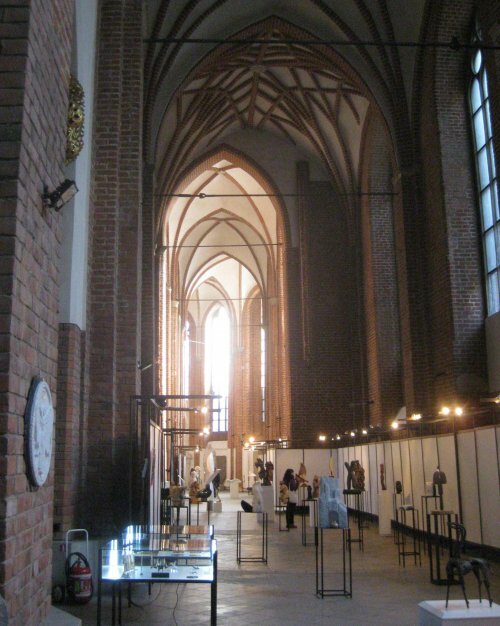 The two biggest churches in Riga were turned into concert halls and museums. The Lutheran Cathedral was returned to the Lutherans but still serves as a concert hall. St Peter’s is still a museum. The Orthodox Cathedral was converted into a planetarium during the Soviet period. All Churches suffered harsh repression during the time of the Soviet Union. Latvia has been part of the European Union since 2004 and from 1 January 2014 adopted the Euro as its currency. All of this gives some background to our European Meeting. Throughout all of its struggles to exist, to survive hostile occupations and policies, this little country has managed to preserve a rich and authentic culture. Being an integral part of Europe, Latvians live with their past, but are justly proud of all that they have achieved over the past 25 years. The Churches and people of Latvia are preparing a warm welcome and there is so much that we can receive from them. We are called to listen and to support."